Great News for Potential Investors in Costa Rican Certificates of Deposit! Many of you have asked us for information about our investments in Certificates of Deposit (CD). Until now, the bad news has been that you must be a legal resident of Costa Rica in order to open a bank account of any kind in Costa Rica; in fact, you needed to have your actual cédula (residency card). But we are happy to report that things are changing, at least at “our” credit union, Coopenae, when it come to opening a CD. Full copy of your current valid passport. A copy of one utility bill (water, electricity, tv or internet) from your current address in Costa Rica (it does not necessarily have to be in your name). Documentation of your source of funds (social security, contract of sale of a home or property, business, or the like). Two bank statements from last 6 months from your major banks (you can download them by internet). One bank reference (just that you have an account and that you are doing well with it). Copy of identification (passport or residency card) of beneficiaries. Certificates of deposit (CDs) must be done for at least 1 year and cannot be canceled or cashed out in advance. You must have been living in Costa Rica for at least 3 months, not necessarily consecutively. By Costa Rica law, the Member cannot do local internet transactions; to do internet transactions, a residency card is required. 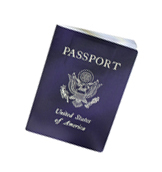 With your passport, you are only allowed to open certificates of deposit. 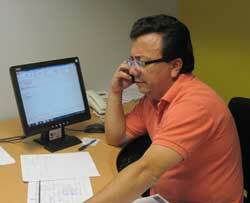 The interest from CDs are not taxable in Costa Rica. 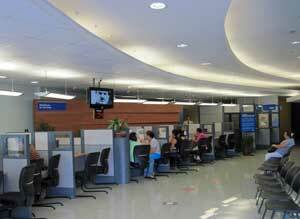 If your legal residency is pending, also submit a copy of your application for C.R. residency from the immigration office, though this is not a requirement.